It seemed strange that a search engine would want to create a mobile operating system, especially an open source one that will work on numerous devices, but Google has shown that it’s groundbreaking and daring all in one huge juggernaut. So, how does Android set itself apart? Well, the app market is slowly catching up with Apple but it’s the fact that Android doesn’t work on the ‘open an app /close an app’ system of the iPhone. You can open an app and have it running in the background or even place it on the homepage as a widget that continuously updates. This means that you can have Twitter, email, eBay, Live football scores and maps all running at the same time. It is the multitasking and personalisation that truly makes Android different to iOS4. You can easily change your background, something new to iOS4, use songs as ringtones to different people and groups. Personalisation doesn’t end there though, integration of apps into the OS also plays its part due to the open source nature of Android. For example, if you install the Facebook app, then you can link people’s profile to your contacts list. Photos will have the added option of posting on Facebook, same with videos and all this without opening the app. There’s also the fact that being a Google OS means you get Google products first and they work best. Gmail, Google Maps, Calendar etc. all work best on Android and it really shows. The apps are integrated into almost everything you do. A new addition to 2.2 is the voice to text service that allows you to recite texts and emails turning it into text. This has been done before, but nowhere near as good as this. You don’t need to train your voice and it’s extremely accurate. But as I said before the integration doesn’t stop there. You can use the service on Google Maps, Google Search and a whole host of other apps. The 2.2 Froyo update also includes USB tethering, WiFi hotspot functionality and Adobe Flash 10.1 support. Android is personalisation and integration. Something other operating systems fall behind on. The Android operating system is the most flexible at the moment and it’s market share is growing especially due to the huge choice of mobile phones that it is available on. 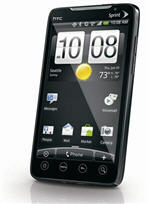 Currently, Android is on HTC, Samsung, Sony Ericsson, LG, Dell and Acer handsets as well as Android tablets. Apple iPhone iOS4 – The best OS out there?